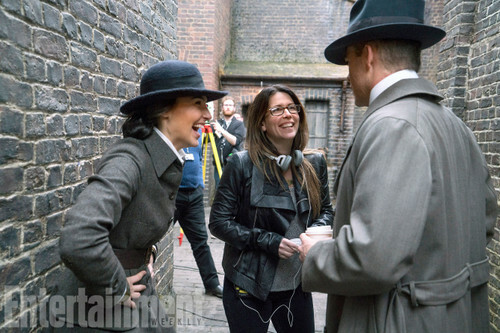 Wonder Woman - Behind the Scenes - Gal Gadot, Patty Jenkins and Chris Pine. Gal Gadot, Patty Jenkins and Chris Pine behind the scenes of Wonder Woman (2017). Wallpaper and background images in the Wonder Woman (2017) club tagged: photo wonder woman movie 2017 still behind the scenes gal gadot patty jenkins chris pine.